and the Development of Professional Standards. of our Law Enforcement Officers. The National Decertification Index (NDI) is a national registry of certificate or license revocation actions related to officer misconduct as reported by participating state government agencies. IADLEST launched the National Certification Program (NCP) to establish law enforcement training standards and "best practices" relating to improved professionalism and skill sets for our nations's first responders. NCP courses are recognized nationally and designed to count towards officers' mandatory in-service training requirements. The National Law Enforcement Academy Resource Network (NLEARN) links all United States law enforcement training academies with a variety of vital resources and services. Join in with over 3,500 of your colleques: police instructors, academy personnel and patrol officers to get the most out of your training. FirstForward® is an online professional training network for first responders. A free account on FirstForward provides access to more than 450 courses-100+ of which are free-and includes all courses vetted by the National Certification Program. You can also track your training and certifications in one portable online record. Learn More. Is a transformational process that focuses on the human development of law enforcement. 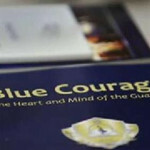 It addresses personal challenges many officers face, such as cynicism, identity, judgment, integrity, leadership and stress management. 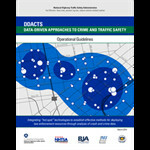 Data-Driven Approaches to Crime and Traffic Safety (DDACTS) integrates location-based crime and traffic data to establish effective and efficient methods for deploying law enforcement and other resources. The "Crime Analysis for Chief Executives" two-day workshop seeks to assist top commanders in identifying how to support actionable analysis within their own departments and use that analysis to drive operations. 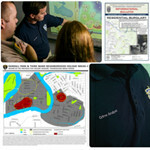 CRI*TAC is an assistance program for Law Enforcement Agencies. It is supported by a cooperative agreement awarded by the US Department of Justice, Office of Community Oriented Policing (COPS), and all services are offered at no cost to the requesting agency. 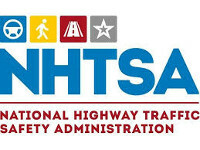 IADLEST and the Texas Department of Transportation are collaborating on two unique partnerships to provide law enforcement in Texas with a holistic approach to increase public safety by reducing crashes and other social harms through a variety of free training workshops and technical assistance.